The grotesque “The Black Nazi” deals with Congolese Sikumoya. Some years ago he came to Germany as a Political refugee and now he has to get German Citizenship or face extradition. Sikumoya is an enthusiast of the works of Goethe and Schiller and values Germany as a treasure of culture. He gets confronted with racism and prejudice in the citizenship course, in the family of his German girlfriend and in daily life. The erudite Sikumoya is repeatedly accused of always falling short to adapt to “the German culture”. He responds by modelling himself on supposedly typical German culture: a German flag on the wall, cool Pils with German folk-music and a hard language-training to get rid of his accent. But a Nazi-group and his mother-in-law who only accepts him as a Guest in Germany, wear him down until he breaks. Sikumoya gets rushed to hospital. In a coma, a transformation takes place. When he wakes up, he is the “Perfect German”. Sikumoya soon meets the NPO – National East Patriots, who because of anti-constitutional racism have a banning-procedure against them underway. Sikumoya is offered the position as Integration Representative. He’s supposed to act as the facade for the Party and divert the arguments of their critics. However Sikumoya won’t play as the puppet and instead overhauls the Neo-nazis from the right. The “Black Nazi” gives rise to confusion and constant irritation. Through his extensive knowledge of Germany and his radicalism he’s even able to get a part of the extreme right-wing onto his side. With the support of his new comrades he starts campaigns to rid the streets of everything “Un-German”. They carry out ID checks and integration-tests on those who don’t fit Sikumoya’s image of being German. Sikumoya begins to turn his conception of ‘Germanness’ against the Nazis themselves, singling out comrades as “Un-German”. He eventually wants to run as candidate for the post of Party leader and so all that the Nazis have to defend themselves against him is their out-and-out racism. 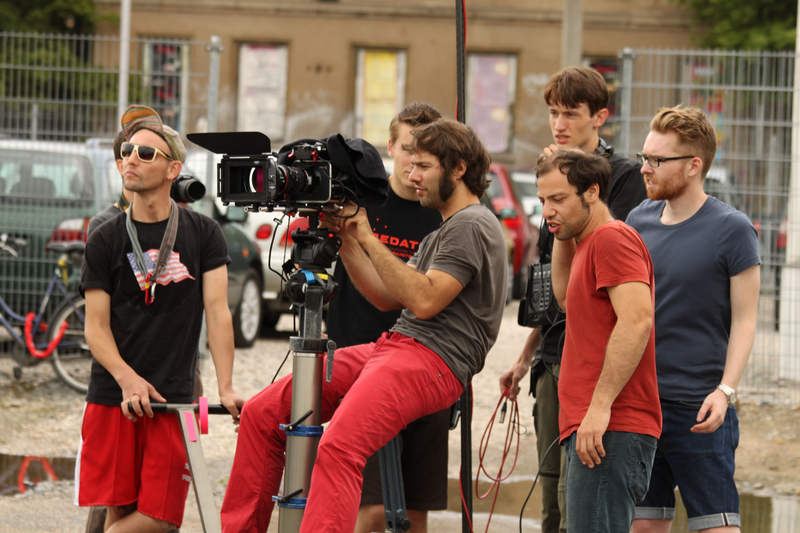 We want to shoot a film, which entertains the audience and at the same time provokes thought. With the stylistic elements of the Grotesque – in our case the mix of inversion, satire, and documentary – the question is posed, of what “being German” actually means. The idea that “German culture” is being threatened by “foreign culture” is to be deconstructed by the means of film. 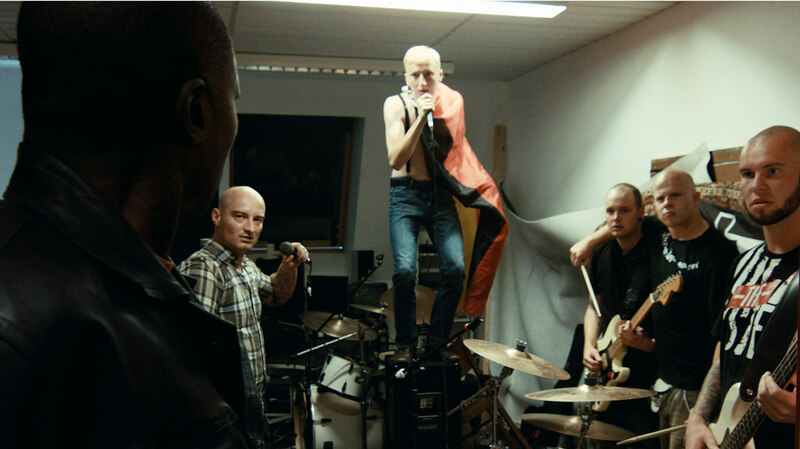 The movie gives rise to questions: What happens if a black person psuhes the claims of Neonazis to the limit, into absurdity, in a way that renders them helpless against their own ideology. A black person who seizes their alleged priviledge to decide what is German and what is “un-German”. This way the film exposes the crude racism which hides behind the idea that a foreigner is someone who essentially cannot fit into our culture. The concept of an enemy, the foreigner who disturbes the natural order, is not exclusive to Neonazis, but it is well and alive anywhere, where people are looking for a reason to attack others.